Swimmers at a popular bathing spot in Angus, Scotland, are again suffering the indignity of having their underwear stolen while they are in the water, the thieves using them to line their nest. The birds of prey have a record of stealing some of the more personal items of clothing swimmers leave on the rocks beside the gorge. 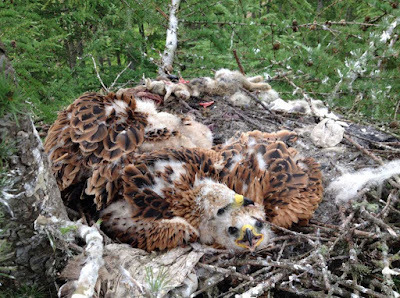 Gamekeeper Dave Clement last year found that a pair of red kites on his estate at Gannochy in Glen Esk near Edzell had stolen pants and socks from a popular local wild swimming spot, to to use in the building of their nest. 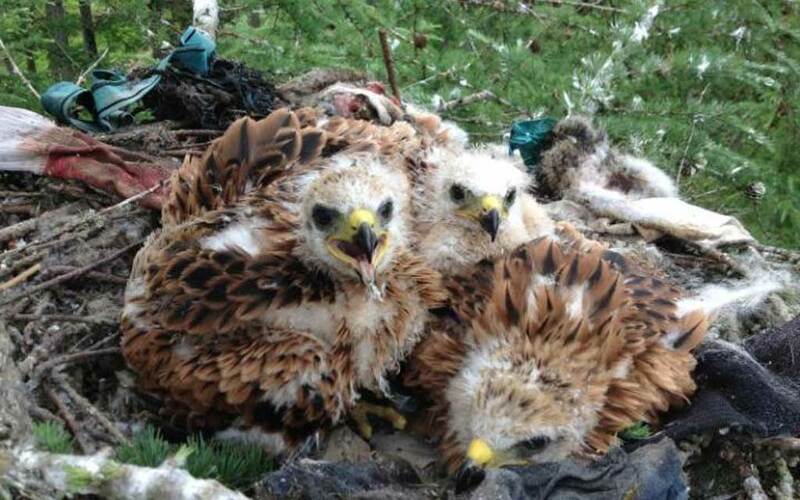 The discovery was unearthed after he called RSPB officials to have the kites’ young ringed and recorded and the garments were spotted in the nest, perched high in a larch tree. Now, following another successful ringing operation in 2016, more socks and pants have been found in the kites’ nest, along with four chicks. Dave Clement, member of the Angus Glens Moorland Group, said it appeared that the Kites had become more discerning in 2016, choosing branded undergarments. “The licences ringer who went up the tree to the nest said there were Armani pants and another brand as well as socks, which they must have pinched off the swimmers at the local gorge. It seems they will take anything to line the nest, then lay the eggs on top, and someone must have gone home minus some underwear. It is clearly working because a nest is very successful. Last year there were two chicks, now it’s four, and there is clearly plenty of food for them on the estate.” he said.